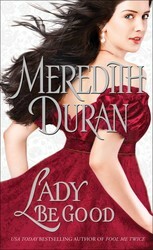 This summer we caught up with Meredith Duran, the brilliant writer of some of our favorite historical romances! On a beautiful day in New York’s Bryant Park, we asked her a few questions about writing, the Regency, and which of her characters is the best husband material! The third searing novel in the Rules for the Reckless series by Meredith Duran. Loved the Q&A. Thanks XOXOAD for introducing me to my new favorite historical author!